Crankshaft now re- ground and ready for re-assembly. However looking at Timing side there is pressured oil feed from the pump to journal bearing shells but on Drive side lubrication is just whatever happens to slop around from inside the flywheel. If it is important to have oil feed to timing side journals why not to the drive side as well? Crossed my mind about fabrication of an aluminum tube from timing to drive side with flanges on inner crank cheeks and possibly O-rings and oil feed bore from timing crank to drive crank with same ID as on timing side crankshaft. Would need to get full crankshaft re-balanced but would then have pressured oil feed for both journal bearings. Is that a crazy idea or what? Hi Peter, If you are referring to the big end journals both sides are pressure fed fro the timing side. The oil circulates thro' the timing side crank to feed the timing side journal and surplus oil passes thro' the flywheel to the driving side. both journals should have oil outlet holes so if your driving side hasn't make sure it just isn't filled with grinding swarfe. Inside the flywheel is a 'sludge trap' which should be cleaned out thoroughly and preferably by splitting the flywheel as god knows what has got in there during grinding. It's a Model 7 and flywheel is one piece so no sludge trap per se. Seems odd that Drive side big end journals are merely splash fed from flywheel orifice rather than positive feed as on timing side. Mine is a 1957 99 with the composite flywheel. It has several drillings thro' the crank to facilitate oil passage to the journals and then these are plugged off with tapered plugs. If there are oil outlets in both journals I would use a compressor to pressurise the timing side inlet and check for a clear passage thro' the crank. Mask each side with insulation tape to ensure clear flow to each side. 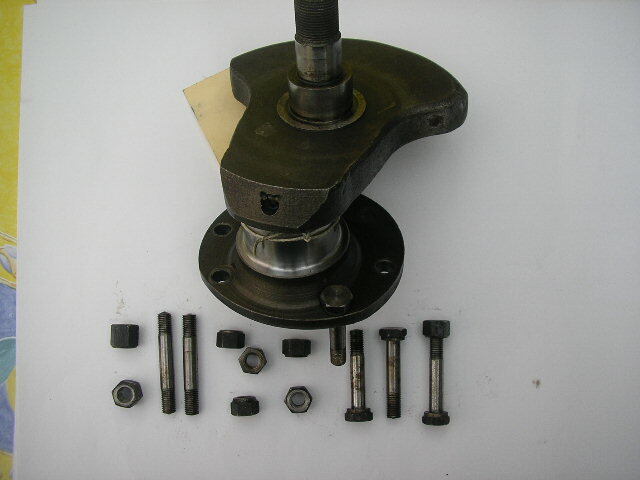 See Attachments for complete Model 7 Crankshaft and dismantled 650 version. 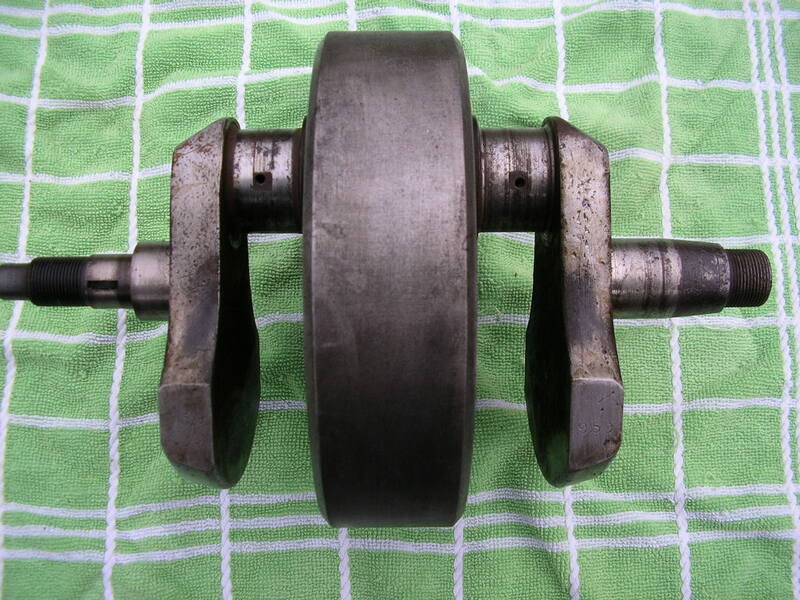 Generally there are 3 big chunks to these crankshafts that are held together by 4 bolts + nuts and 2 stud sets. The only one piece Norton Twin crankshafts that I have come across have been those specially made for racing or throttle happy riders.. Nourish used to be the big name for supplying these items.